Most Americans’ images of Korea extend little further than Hyundais and demilitarized zones and vague stories about eating dogs. 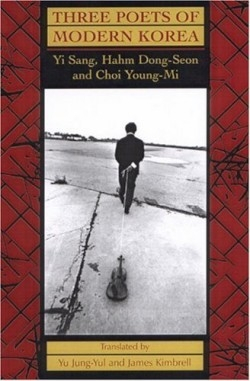 This book, which offers fairly generous samplings of three very different Korean poets, may help begin to ease our ignorance about the rich poetic culture of Korea-a country where, according to the translators’ introduction, poems are to be found everywhere. The work of each of these poets is much more various and subtle than a review like this can detail. They offer much to delight and instruct, in poems that the translators have brought into English with grace and verve.